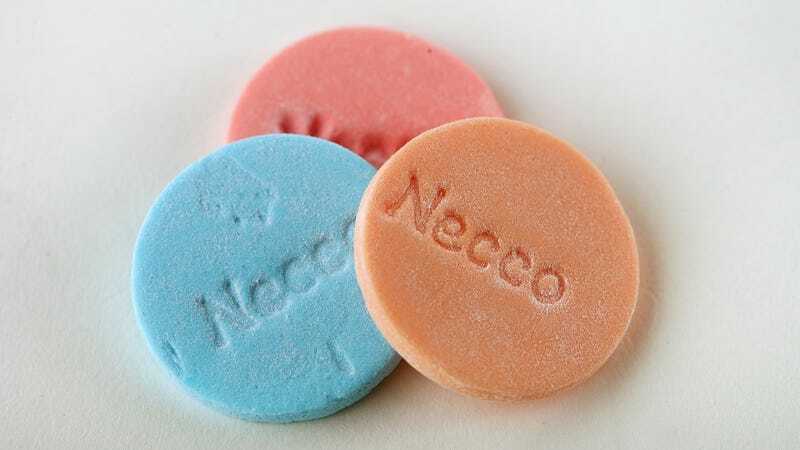 Despite their chalk-like texture, faintly sweet flavor, and primary utility as a toll-booth slug in the ’70s, a lot of people were freaking out a few months ago when Necco’s CEO (“Necco” is short for the “New England Candy Company”) announced that the apparently beloved wafers factory was in danger of closing. (Speaking of beloved, the company also produces those conversation hearts for Valentine’s Day, called Sweethearts.) Now, it appears as if Necco fans’ fears have been realized as the company was sold this week and the factory closed. USA Today and others report that Round Hill Investments “announced that it had sold the once-bankrupt Necco, purchased for $17.3 million in May, to another candy maker.” Brian Arrigo, mayor of Revere, Massachusetts, where the factory is located, said in a statement: “We are disappointed that Round Hill could not follow through on the enthusiasm it expressed when it acquired Necco barely two months ago.” The New England Confectionery Company is/was the oldest candy company in America, dating back to 1847. The company that bought Necco was not named, so it’s unclear as to whether it will continue producing Necco wafers, Necco Sweethearts, Clark Bars, and Mighty Malts. All those people who stockpiled Necco wafers when signs of trouble first arose are probably heading straight to Ebay right now.